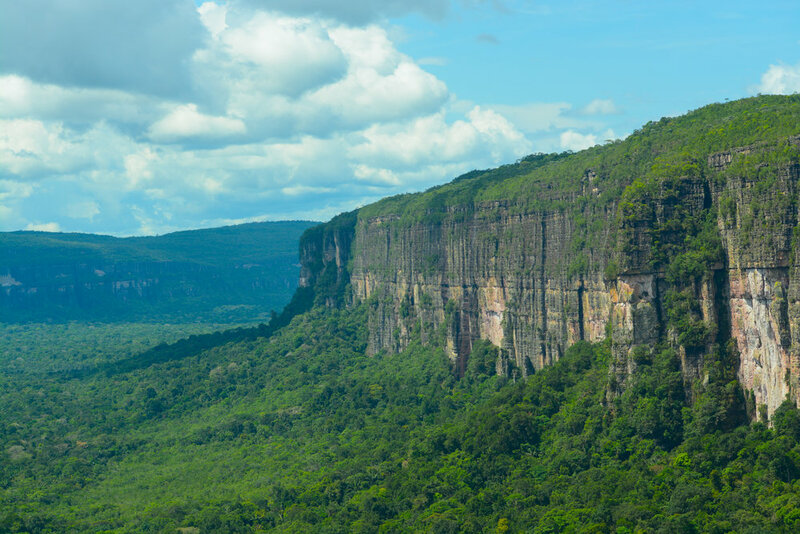 From the eastern Andes mountains to the lowland Amazon rainforest, Andes Amazon Fund (AAF) protects the most biodiverse ecosystems on our planet. This part of the world harbors the greatest concentration of plants and animals on Earth, is the home of millions of indigenous people, and contains an estimated 20% of the world’s freshwater. But today, this region also faces a tremendous number of threats caused by climate change, deforestation, and other forms of unsustainable development. 1) Chiribiquete National Park expansion in Colombia: Expanded by 3.7 million acres (1.5 million ha), Chiribiquete became the world’s largest tropical rainforest national park in July. Protecting a total of 10.5 million acres (4.2 million ha), this area contains one of the highest rates of biodiversity in Colombia and unique rock formations known as tepuys. It is also a UNESCO World Heritage Site given its cultural significance and assemblage of more than 70,000 cave paintings. AAF supported the work of Fundación para la Conservación y el Desarrollo Sostenible (FCDS) to create this area and pledged an additional US $1 million in partnership with the Bobolink Foundation to support its initial management. Chiribiquete is now the world’s largest tropical rainforest national park. 2) Yaguas National Park in Peru: Peru’s newest national park protects 2,147,166 acres (868,928 ha) of rainforest and a vast river system with one of the richest fish faunas in the world. These fish stocks help provide food security for those living in Loreto— the largest state in Peru— including six indigenous communities who reside near the park. Yaguas also safeguards a number of vulnerable and endangered species such as giant otters, manatees, and Amazon river dolphins. 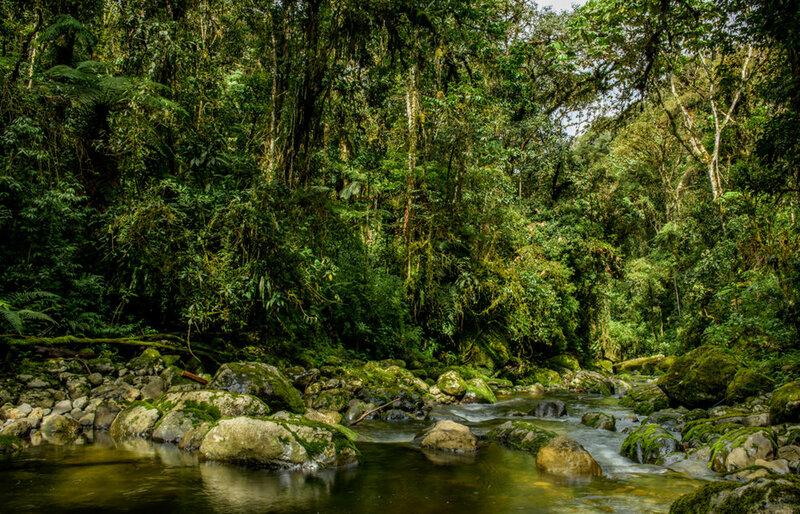 As a part of the alliance known as Vamos Yaguas Parque Nacional, AAF provided financial support to Instituto del Bien Común (IBC), Sociedad Peruana de Derecho Ambiental (SPDA), and Conservation Strategy Fund (CSF). We also pledged an additional US $1 million with the Bobolink Foundation for the park’s management. 3) Zamora Chinchipe Provincial Reserve in Ecuador: Conserving 1,098,611 acres (444,592 ha) of forests and páramo grasslands, Zamora Chinchipe includes a network of four conservation areas— Yawi Sumak, Cordillera del Cóndor, Bracamoros and Fuentes de Agua— and an extensive river system. This area houses one of the highest concentrations of plant species on Earth, contains endangered wildlife such as the white-bellied spider monkey and the mountain tapir, and is highly geodiverse. 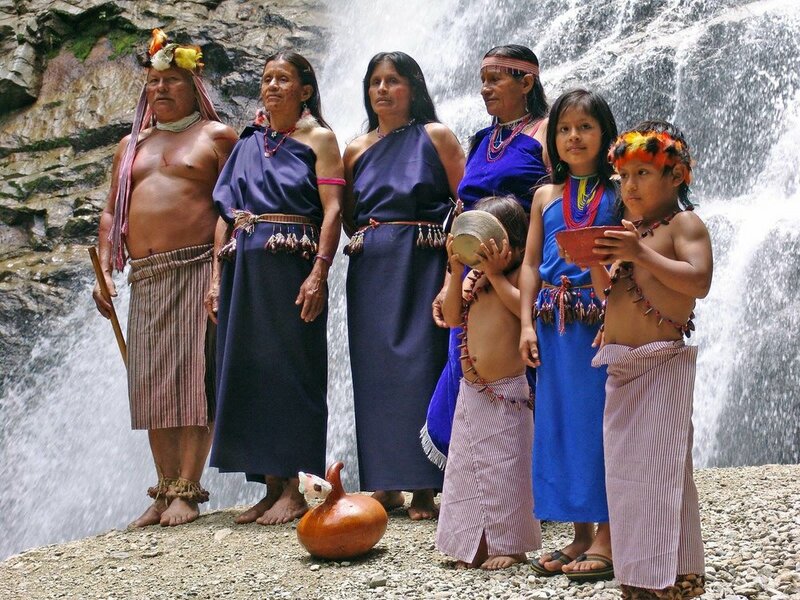 Zamora Chinchipe is also a source of clean water for more than 91,000 people, including members of the indigenous Shuar nation. AAF supported the work of Naturaleza y Cultura Internacional (NCI) to establish the reserve in December. More than 91,000 people depend on the ecosystem services provided by Zamora Chinchipe. 4) Shunte-Mishollo (Boshumi) Regional Conservation Area in Peru: Boshumi Regional Conservation Area will conserve a key landscape in the region of San Martín spanning 472,973 acres (191,406 ha). This area lies in the transitional zone between Peru’s puna grasslands and montane forest, adding to a conservation corridor that includes Río Abiseo National Park, Los Chilcos Private Conservation Area, and more than 6 conservation concessions. The Regional Government of San Martín identified Boshumi as a social and environmental priority due its fundamental role in the collection and regulation of water. The area was also created to protect its unique biodiversity, which includes a number of endangered and emblematic species, such as the yellow-tailed woolly monkey. 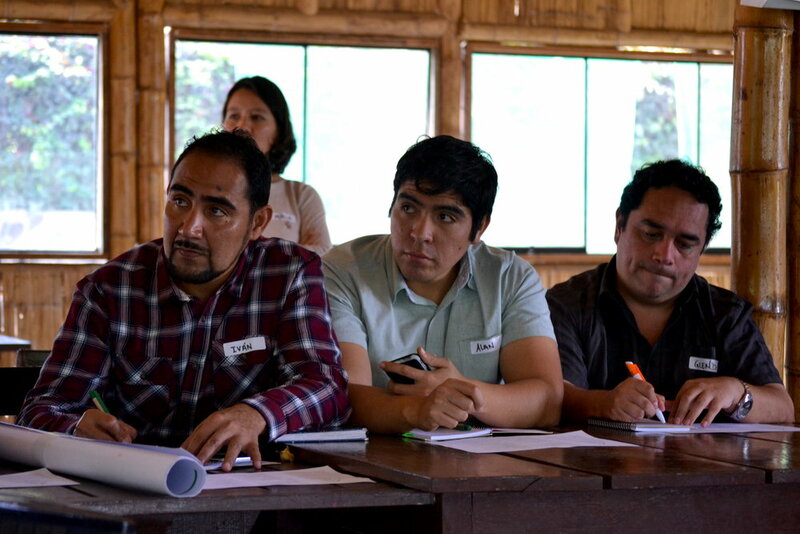 AAF provided financial support to Asociación Amazónicos por la Amazonia (AMPA), Naturaleza y Cultura Internacional (NCI), and Sociedad Peruana de Derecho Ambiental (SPDA) for the creation of the area. 5) Itachini-Itayuro Municipal Conservation Area in Bolivia: Established in late 2018, this area protects 241,200 acres (97,610 ha) of Andean cloud forests in the southern part of the country. This type of ecosystem contributes to local watersheds and regulates the flow of water, which helps to prevent both droughts and floods. Nearby communities also depend on the water produced in this area for their livelihoods. Itachini-Itayuro safeguards vulnerable species such as the Andean bear, white-lipped peccary, military macaw, and the near-threated jaguar. AAF supported the work of Natura Foundation Bolivia, following requests from local people to protect this landscape. “Assuring the legal protection of key areas is an important step that complements local and national efforts to protect their natural and cultural heritage. It also creates the basis of a sustainable economy. We are committed to making this happen,” said AAF Program Director Enrique Ortiz. AAF takes a comprehensive approach to ensure the protection of the Andean Amazon. Not only do we increase the capacity of civil society organizations, local and national governments, and indigenous peoples, but we also support efforts to ensure the long-term sustainability of existing protected areas. AAF hosts annual workshops for its partners to strengthen institutional capacity. Since we first began in 2015, we have supported the conservation of over 15 million acres of land and are on track to protect an additional 4 million acres this year. In only four years, we have almost doubled our initial commitment of creating 10 million acres of protected areas by 2021. This would not have been possible without the work of our 24 grantee organizations in collaboration with local partners and governments, and the support of our donors— the Wyss Foundation, blue moon fund, the Gordon and Betty Moore Foundation, and the Bobolink Foundation. “The Andes Amazon region fortunately has vast areas of habitat that remain in excellent condition. We have a brief window in time where we can get legal protection for these landscapes so that they will remain healthy for future generations. Seizing this magnificent opportunity for conservation is our number one priority,” said AAF Executive Director Dr. Adrian Forsyth. Photos: APECO, Field Museum, FCDS, NCI, SPDA, Gaia Amazonas, and AMPA.